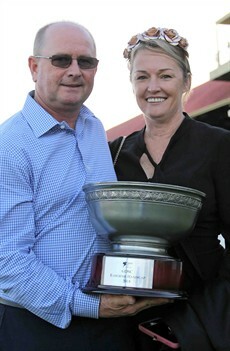 Day FOUR features the traditional “GRAFTON CUP” this year sponsored by G.McMullan Contracting. The track is currently rated “GOOD” and the rail is back in its true position again for this meeting. The runners that performed well on Ramornie Day did race on the speed – however, some horses were able to swoop wide and come late and fill the placings. That program was marred by a nasty fall in race 5. Jake Hull, Josh Adams and Ben Looker all were dislodged from their horses and were later transported to Hospital via ambulance for assessment. The boys all seemed to have escaped serious injury. WINNO did go and speak to Jake Hull on the track. He seemed in good spirits and was discharged from Hospital in the early evening. The Ramornie was won by Havasay (WINNO tipped it) with a superb ride from Matthew McGillivray. He said after the race “I didn’t even hit him”. It was great to see Matty win his first Grafton Ramornie! Some wonderful scenes were captured after the race and I will share them as soon as possible with you all. Another eight races with some very competitive racing scheduled. Grafton Cup 2018 – let’s hook into it. Hold on – have I time for a traditional Grafton BBQ ham roll – or as they used to be known “Pig Roll”. 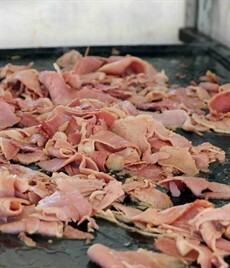 The pig (BBQ Ham) rolls are going off at the Carnival – only $8 each. I see that Mitchell Speers has been enjoying this cuisine rather than eating meat pies! There is a rumour at the Carnival that a leading jockey manager from Brisbane may have overlooked accommodation for some of his riders and has put them up in a pub! I hope they serve pies with vegetables and chips at this pub for him and his crew! In other news – Josh Fleming (QLDer) nearly tipped the entire program at Ipswich on Wednesday – coming into the last race he was 6 from 6 – he missed out in the last. Great tipping mate – credit where credit is due! This race is always very keenly contested each year. Chris Anderson comes down from Brisbane with his Dream Ahead filly Tipping (10) that has been racing some well and against some stiff opposition since she won on debut at the Gold Coast back on 2 June. Her last start at the Sunshine Coast was behind The Fire Trap. The Matthew Dunn stable has a high opinion of that winner. I am thinking that this filly will race a lot better on top of the ground and she will be racing on a good surface on Thursday. Rosy Elsie (7) ran here last Thursday and was well backed in pre-post markets before easing on track. The run was over 1006 metres. She steps up to the 1200 metres and the way she finished the other day I am confident that she will be competitive here in this grade. Jim Jarvis knows how to get one ready for the Carnival and after the money came early for this one last week … well, maybe the old phrase “where there is smoke – there is fire” may be true here. 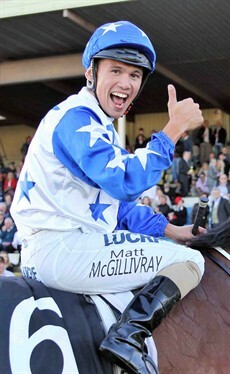 Matt McGuren stays aboard this week and he is riding in sensational form. Kris Lees has Everard (5) in the field with Craig Newitt on board. They won the Grafton Guineas on Wednesday and are looking to win another feature race during the 2018 Carnival with this Sebring filly. Last start she was held up and could not get clear at Canterbury. She hasn’t had any trials but the mail from the track on Wednesday was strong that she had been working well. The Matthew Dunn stable scratched Vernazza (11) from the Wednesday meeting to be saved to run against her own age. She debuted at Doomben and raced well. There has been solid support for the runner. She must rate a chance here. She’s Choosie (8) is trained locally by Greg Kilner and will be ridden by Leah Kilner. She has won 4 times from 6 career starts and she has drawn well in barrier 3. The trial here last Thursday after the last race was impressive. A 1000 metres scamper greets us for race 2. Warface (4) from the Les Kelly yards on the Gold Coast appeals here. He is hopeless on wet tracks and he has been plagued by them in recent starts. He won second up at the Gold Coast on a good track. With conditions to suit here I think we will see a respectable improvement in his form with a win here. Brad Stewart who won the Grafton Cup Prelude last Thursday is aboard this runner for the first time. Local chance Charlee Bear (7) has tasted success on the Carnival days in recent years. He is another runner that has run into wet tracks and I believe he needs firm tracks for us to see the best of him. Three of his seven career wins have been here on his home track. Barrier 17 may cause jockey Leah Kilner some headaches – let’s hope she can get in and get a cosy run. Loose Goose (8) an aptly named mare from the Matthew Dunn yards. As I am sure there will be some “loose gooses” around Grafton as the Carnival enters its big day – Cup Day! She is first up, drawn barrier 3 and will be the likely leader or close to the lead here. I think she will look like the winner at some stage. Patriot (11) is trained by Matthew McCudden and will be ridden by Robert Thompson. He struck a soft track at Taree. Forget that run and go on the consistent form prior to that on good tracks where he had been racing consistently in similar grade. This could be a real chance for the “new kid on the block” Matthew McCudden to taste Grafton Carnival glory early in his short training career! Polskie Lady (14) is first up in 8 months for the Jim Jarvis stables – again Matt McGuren takes the ride for the stable. She won a barrier trial at Coffs Harbour a month ago and has been tucked away. That trial win was impressive. She has drawn midfield in barrier 7 and I expect her to be ready to run a nice race here. Jim Jarvis could manage to bring a smile to the bookies faces if he can train the first two winners! Matthew Dunn has two runners here with genuine chances and they come out of the same race a fortnight ago at the Sunshine Coast on a heavy track. They are Pegapus (5) and Contralto (12). Both run good races on a surface that is foreign to them both. I am punting that they will improve on the good surface that they will get here. Awake The Stars (1) is from the Edmonds Racing stables on the Gold Coast. This Redoute’s Choice mare loves to lead and set the tempo in front. This could see her downfall as this straight at Grafton is very demanding and not many can hold them off late when they put in the hard yards early. However, you must respect this runner as her efforts at 1400 metres are very good with 6 starts, 4 wins and a second showing on her career stats! Ron Stewart climbs aboard for his first ride on her – he can rate them well in front and will ensure she is given every possible chance. Romney’s Choice (6) is second up here for the Chris Anderson stables. I hope that she does not suffer “second up syndrome” and she can run well for the stable. Anthony Allen is aboard her for the first time. Whilst she has not won at 1400 metres she has been placed on two occasions! Latitude (3) is a nice Casino Prince mare who will race handy or lead the field as well. Glen Colless is aboard here for this race. He won on her here over the same distance back on 16 April. Since then she has had a few runs (all spaced out). She did win her last start at Newcastle over a mile when leading and holding off all the opposition. Velocano (5) has been running around at massive prices in her last few starts ($21 & $31). She is shaping up for her fourth start here this week – Craig Newitt to ride for Marc Conners. I just think that on a good track and the nice barrier “Froggy” Newitt will be able to ride her in behind the speed and she should make a run late. Matthew Dunn seems to have launched an assault on this program with another stable representative in this race. Wallander (2) comes off a maiden win at the Gold Coast when he was ridden in front and stormed away to win by 5 lengths. There are not many that can go from maiden to a Class 1 victory the next start, however, this runner looks the type that can do that. Jim Byrne takes the ride and he has ridden him previously when he was narrowly defeated as favourite back at Doomben in December. They have the chance to lead again from the nice barrier or, if something wants to go forward, to take a sit. I am sure Byrne will work it out without any assistance from WINNO! Melanya (9) is from the Bryan Dais stables who has already tasted success at the Carnival on Day 1. Matthew Palmer partners this mare who is third up in this race. I would totally write off the loss at Ipswich last start. Ipswich can bring many horses undone. I think back to a large open track like Grafton we will see her sit back midfield and then storm down the outside late and wide. Grande Casadora (12) is trained by Jenny Graham and to be ridden by Luke Rolls. She has raced well over longer distances, but I am keen to see her first up here over 1400 metres. Graham has put this filly through some tough trials recently. The runs have been very solid, and I think that would place her in a good position to run on late first up here. Every year this race draws a massive and competitive field. Most years there are multiple plunges on this race as owners chase the $25,000 first prize thinking that their horse win. Stay tuned to any betting moves or late plunges that invariably occur in this race. I like the Gold Coast runner here Ruler (2) trained by Les Kelly and to be ridden by the leading Gold Coast rider Ryan Plumb. The gelding is second up this preparation after a solid second a month ago. He is drawn the rails and I expect him to be in this race up to his eye balls. Stone (1) is from the Ken Lantry stables and is an ex-Godolphin runner who could race well fresh. He has run some placings for the previous stable. In fact, in his last three races prior to a spell he was sent out favourite and, on each occasion, beaten and could be considered disappointing. Maybe with new owners and a new trainer luck may change for this runner. The stable likes a bet so keep your eye on the markets. Moonmo (4) is trained by Greg Cornish at Beaudesert and has had two starts here for two placings. That could hold him in good stead for this assignment as he has had a look at this track and to be fair has performed well on each occasion. Usurp (6) is another well bred gelding out of Lonhro and bred by Darley. He is trained by Maryann Brosnan on the Gold Coast and is second up here after a nice run at Ipswich where he led and was run down late. Prior to that he won a barrier trial at the Gold Coast impressively. He has had a fortnight between runs. I expect him to be in the finish when the judge calls a halt to the race. Dafeenah (10) has been racing well without much luck. She raced at Doomben last start and finished the 1200 metres off well late – maybe a rough chance. Only Ever Annie (12) is trained by Ben Ahrens and is to be ridden by Michael Cahill. She resumed last start at Ballina on a heavy track. In my opinion the track did not favour her and despite getting out of her ground she motored home to be beaten narrowly in a photo. That run for mine suggests that the step up from 1000 metres to 1200 metres will suit here. Michael Cahill is a magician at getting horse to run for him. I think this runner is way over the odds at $25 and she could cause an upset! Soudi (14), from Victoria, makes an appearance here. She too has nice form on good tracks. Josh Oliver is in the saddle. She has drawn terribly in barrier 15 but if she gets some luck could finish in the placings. This is the race that Havasay won last year here at Grafton. King Lear (3) won the John Carlton Cup last Thursday and has a quick back up for the Tony Newing and Matt McGuren team who have been in sensational form over the Carnival. I thought they may have tilted him towards the Ramornie, but this trainer knows best – after all he is a good Gosford and NSW lad! Last week King Lear settled off the speed and just smashed them in the straight. I think despite the rise in the weight he should be competitive again. The Lion (8) won a Highway Class 3 at Randwick on a heavy track a month ago – then went to Tamworth and ran a nice race over 1000 metres with a huge weight of 61.5 kilograms. He steps up in grade here for trainer Michelle Fleming. He has never raced over 1200 metres, so I am not too sure how he will go over this distance. One thing is for sure - if he is anywhere near them in the straight jockey Chris O’Brien will be throwing everything at him to ensure he gets home! Taillevent (6) comes down from the Gold Coast stables of Bruce Hill. This runner has been very consistent. Last start he was beaten just over 2 lengths by Manaya. I am thinking he may prefer a wet track as some of his good form has been on “soft” tracks. However, he does like a track with space. I see Mark Du Plessis has been engaged for this runner – he will ensure he keeps his mind on the task! Alot Like Home (7) is resuming for trainer Steven Fell. Andrew Gibbons is aboard this gelding who ran a nice trial at Taree a fortnight ago. In that trial he was not fully tested. He has won first up before and has drawn handy. Let’s hope he is forward enough to put some pressure on these more fancied runners. Dominant Crown (12) is trained on the track. He went around last Thursday and carried 59.5 kilograms in a Class 3. Stepping up to Class 6 here he may face a tough task, but he was flashing home late last week and does race very well at this track. Ferniehirst (14) was beaten by Snitz here back in March and has been out for a spell since April. She is trained by Paul Smith and is scheduled to be ridden by Ben Looker who was involved in a fall on Ramornie day. Her last run was in the strong heat of the Country Championships which was run at Randwick and won by Victorem (ironically ridden by Ben). Despite being first up I think she rates a mention. The feature race on Day 4 of the Carnival - and what a massive field for the Cup! Chris Munce trains First Crush (4) who won the Grafton Cup Prelude in 2017 and went onto the Grafton Cup 2017 and ran without any luck. This year he returns to set the record straight. Chris Munce has won the Grafton Cup as a jockey in 1999 aboard Count Scenario and then again in 2005 aboard Storm Hill. He is looking - I think - to become I think the first to win a Grafton Cup as a jockey and a trainer! First Crush (4) comes off a solid second at the Sunshine Coast last start when he finished behind Megablast in the Caloundra Cup. I think Munce would be hoping for a wet track for this runner – well at least a “slow” track. He might not get those conditions though with fine weather forecast for Wednesday and Thursday. Mark Du Plessis is the jockey again in the Cup and he is searching for his maiden win in the race. There is a knockout chance here – this runner has been performing well of late and I think despite the class rise will be right in this race for a long, long way. I think Cut The Mustard (16) will race handy on the speed in front with jockey Rachel Murray aboard. She seems to run well for Murray. With the rise in class from a BM65 she drops in weight and will be suited by this track. It is her first attempt at 2350 metres – but the way she won last start at Tamworth suggests that she will run the trip right out. Miss Dubois (10) from the Matthew Dunn stables has been racing consistently. Her starts in both the Ipswich Cup and the Sunshine Coast Cup probably did not highlight her true potential. I think both the track conditions and the tight turning track at Ipswich may have led to below par performances. She does normally go better on top of the ground and I think she can settle and make a run in this long straight at Grafton and put herself in the finish. Can Jim Byrne ride the feature double (Malvern Estate and Miss Dubois) – now that would be a unique achievement! Jumbo Prince (2) trained at Toowoomba by Michael Nolan has been racing in Group races throughout the Brisbane Carnival. 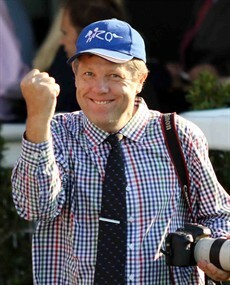 He is getting out of bed early on Thursday and coming down on the truck with his number 1 mate and strapper Nick Hahn. I think Nick will probably be in the back with him sleeping with Jumbo Prince. He just loves this horse! He ran a gallant third in the 2017 Grafton Cup when beaten by Supply and Demand – there are no runners to this quality this year in the field – he can win this race if things go his way on the day and he travels down well to Grafton. Montauk (1) is a class runner from the Chris Waller stables – making his appearance for the first time at Grafton after a recent campaign in Victoria. He has run some placings over this distance previously – however barrier 20 is not ideal for his chances here. I expect him to push forward in the run to the winning post and try and get in and take up a position as the leave the straight for the first time. If he achieves this he may well be the testing material come the final 100 metres when the runs will be coming to claim glory in the Grafton Cup 2018. Reneged (11) who won here at the track a couple of years ago is back looking to win the Grafton Cup. He has been smashed in the early markets from $8 into $4 – there is some confidence about this John Thompson trained gelding that is syndicated by Power Thoroughbreds. He carried 63 kilograms last start to win at Canterbury over 1900 metres. He drops to 55 kilograms for the Cup – I think he will need a softer track to see the best of him but the money is there to say he will run well. Chillin With Dylan (8) backs up after winning the Grafton Cup Prelude last Thursday – holding off all challengers late in the run. Ben Ahrens was happy with that run and he must have pulled up well to take his place here as he has a history of leg problems. The firm track may hinder his performance but he has the form on the board to suggest he will be competitive. Michael Cahill takes the mount here in the Cup. Cahill is a wonderful rider in distance races and has tasted Grafton Cup victory in 2001 when he rode Desk Top Lover to victory! This is the last race of the Cup Day 2018 – the traditional James Kirby Handicap over 1000 metres – and boy will they go fast here! This race always has a large amount of interest in betting. They always back nearly every runner here. The horses come from all over the place – plus you have the dilemma of the horses that are resuming here and their form and trials have been hidden and they race well fresh. It is going to be one spectacle of a race! I like the Jeremy Sylvester trained Three Sheets (9) who loves 1000 metres (7 starts for 3 wins and 2 placings) and always races well fresh. He normally likes the speed on in his races and he will motor home late. I think he will get those conditions this week! He has the services of regular jockey Robert Thompson for this first up assignment – you will get odds about this runner – in some markets he is quoted at $15. That is value to me! Aimalac Millie (7) is trained locally here at Grafton. Last start she raced at Rosehill on a soft track and was not disgraced. She has had a fortnight to get over that run, and she is back to her local track and a distance that she has won over 3 times. She does have a bad barrier to overcome – barrier 15. Will the magician Matt McGuren, who is in the saddle, be able to claim another feature race winner on Day 4 of the Carnival? Tiyatrolani (5) is down from Brisbane representing the Tony Gollan stables. His horses have been firing in recent weeks after the Brisbane Winter Carnival. This mare raced in some Listed and Group races over the Carnival without much luck. I have always had an opinion of her. She does get conditions to suit here in this race to break through for a win. Last start at the Sunshine Coast she despised the soft track and the way the race was run. Look for an improved effort here on a Good track where she thrives. Jim Byrne is aboard – not sure where they will go from barrier 7 – but with speed in this race he may just settle in behind them and bide his time. This Captain Sonador has a very powerful finish when she is right. Prince Mayted (2) is trained down around Port Macquarie by Colt Prosser. He is a short course specialist and has won a trial at Taree on 1 July in very good fashion. He has never won first up, however, has also never been out of the money first up (7 starts for 3 seconds and 4 thirds. He must be considered here. Love Me Baby (8) is trained by Paddy Cunningham who has already had a winner on Day 2 of the Carnival. She is a track and distance specialist. Tegan Harrison is on board again this week – she has won 2 times from three rides on this mare. Just A Bullet (12) went around in the John Carlton Cup last Thursday. I thought the run was great over an unsuitable distance with a massive 61 kilograms. He drops to 54 kilograms with the conditions of this race. I expect him to be right in this race! This is a tough day for the jockey’s challenge – as several riders will probably need to be replaced after the fall on Wednesday. I think at this point Matt McGuren and Jim Byrne look the pick of them with the rides they currently have allocated. WINNO is taking on good friend and Queenslander Anthony Collins over the Carnival. Be sure to catch our up to date selections on Facebook each day! After day 3 the score is: WINNO 1 – COLLINS 2. Watch out for the fightback!